This breed isn’t actually an “Eskimo” dog, but it was born in the United States. It has been bred down from breeds of Spitz such as the Italian Spitz, German Spitz, White Pomeranian, and the Keeshond. In the 19th century, this breed was a popular circus trick performer. 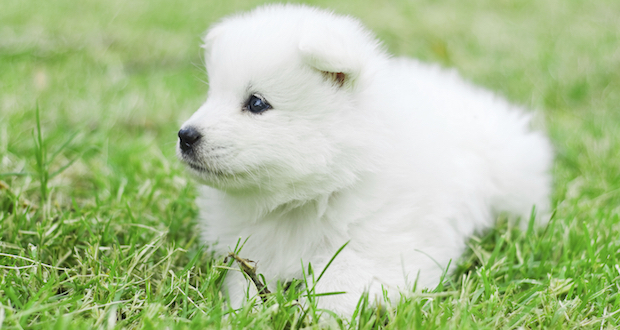 Today this breed is known as a gorgeous white ball of fluff that makes the perfect family companion. This toy breed ranges from 9 to 12 inches in height and weighs between 6 to 10 pounds.